It’s no longer a dirty word to utter or admit in entrepreneurial and corporate circles. In fact, many entrepreneurs and businesses are embracing sharing stories of failure because they understand the value of these stories. Sharing what doesn’t work is just as valuable (maybe more) as sharing what does work. In science, it is every researcher’s dream to test a hypothesis and find statistically significant results confirming that they were right. However, publishing research findings showing that there were no statistically significant results for those elements is equally important to the research community. It shows that those confounders aren’t relevant to your problem. Case study: In 2005, Michael Watson and his public health colleagues conducted a randomized controlled trial where 3,400 some odd families with children under 5 were provided child safety equipment to prevent injuries. They studied whether a child in the family had at least one injury that required medical attention and if they sought hospital admission for injuries over the course of a two year period. Their hypothesis was that providing safety equipment and medical advice to these families would reduce the number of injuries seen in the family. Afterall, safety equipment provides a protective effect, no? Seems logical. However, they found NO SIGNIFICANT DIFFERENCE in the number of medically attended injuries between the families who had the safety equipment and those who didn’t. Basically, kids will be kids regardless of the safety equipment they have. You can satisfy your nerdy side with the full article here. Was their study a failure or did it provide interesting results? I’d argue that these non-significant results were very helpful in directing future researchers to various study designs when it comes to studying families and child injury prevention. Their study informed pediatricians and crafted the advice doctors gave their worried parental patients. One can argue, quite successfully, that publishing non-significant results (or stories of failure) are extremely valuable in how we view our world and test our own hypotheses. 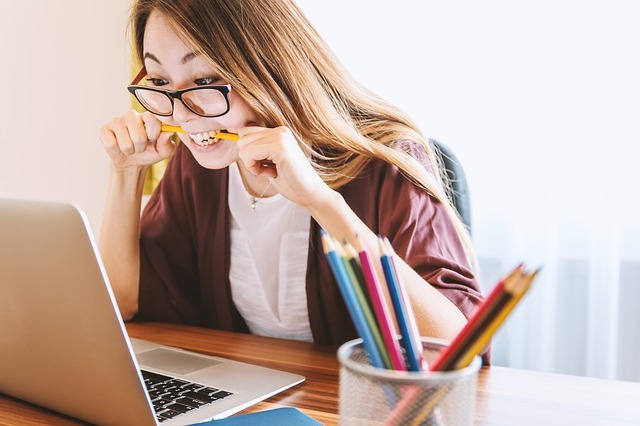 Fail stories are finally being seen as something of worth in the business world and entrepreneurs are embracing their failures with open arms. Failory.com provides written interviews with start-up founders to dig into the reasons why their ideas failed. Entrepreneurs are sharing their F**kup stories on vlogs with Stefanie Koch on We Fucked Up, and the videos are entertaining to watch and reassuring to see. Because learning what not to do is as valuable as learning what to do in business, young entrepreneurs are gobbling up failure stories for breakfast, lunch, and dinner. Take a look at all of the books related to failure: The 10 Commandments for Business Failure, Secret to Startup Failure: Fail fast. Fail cheap. Fail happy., How to Fail at Almost Everything and Still Win Big. Failure makes you human. Failure makes you relatable. The Old Guard (looking at you, my lovely gray-haired/bearded experts in your field of choice) have kept their mistakes a secret—always wanting to be perceived as the all-knowing, wise, and knowledgeable specialists. But, when those all-knowing experts are always on the conference call, they stifle their colleagues’ desire to speak up and offer their ideas. Other people’s fear of failing in front of an expert actually hinders growth and progress. Being a young, relatively inexperienced female epidemiologist sitting at the table next to a veritable expert with over 30 years of experience, I took his permission to heart. I was grateful that he explicitly gave my ideas equal validity as his own despite the discrepancy of years of experience in the field. In short, other people’s fear of failing in front of an expert actually hinders growth and progress. This is why we need more experts to share more of their stories of failure with their colleagues and especially with people seeking to enter their field. In doing so, we will all understand that growth cannot happen without failing and that it is only through failure that we can improve. 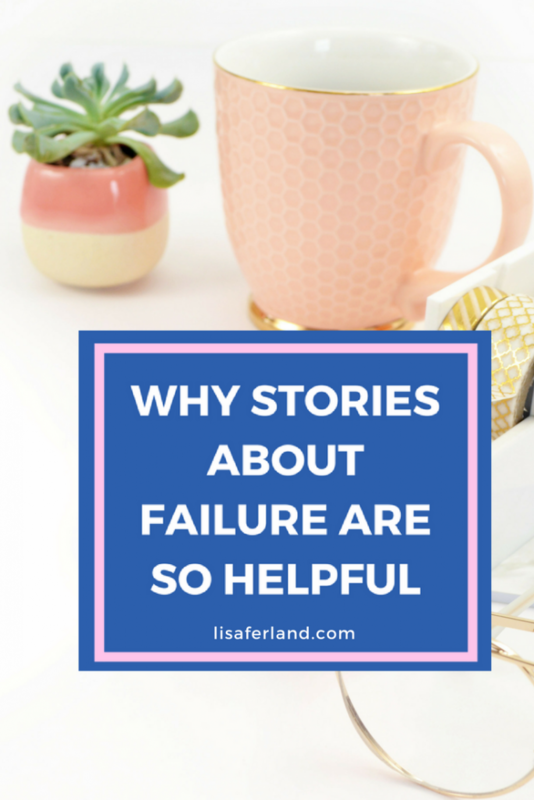 Share your failures story with someone and you’ll find that sharing your mistakes makes you more human, more relatable, and more empathetic toward others. You’ll gain more admiration and respect in your field of expertise. Tim Ferriss sent his 4 Hour Workweek book to 25 publishers before someone finally accepted it. Dr. Seuss’s first book was rejected by 27 publishers before it was accepted. Walt Disney filed bankruptcy after starting several businesses and failing at them all. Continuously failing means that you improve the next time and the next until you reach greatness. So, head out there and fail your heart out. You might just inspire someone. Are you ready to learn from my mistakes? I share all of my failures with my clients so they can learn what not to do when it comes to self-publishing and crowdfunding their book. 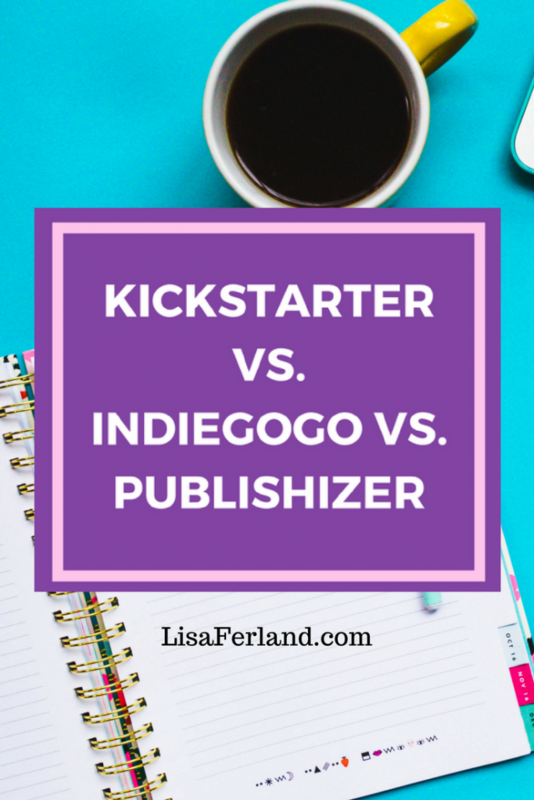 When it comes to crowdfunding platforms, you really only have a few options—Kickstarter, IndieGoGo, and Publishizer. Of course, there are other, smaller crowdfunding platforms out there, but I do not recommend those for crowdfunding your book. Full disclosure: I have successfully crowdfunded books on Kickstarter and IndieGoGo, so I prefer those platforms over others. I’ll go over the reasons why below. Regardless of what you decide, you first need to research the types of projects featured on each platform to find the best “home” for your book. The average book campaign raises around $5K. If you have a larger goal in mind, I suggest you read about how Don Moyer used serial campaigns to successfully fund his creative projects. A key thing to remember: the vast majority of your readers don’t understand the concept of crowdfunding. Plain and simple. Whenever you launch a crowdfunding campaign for your book, most of your time will be spent educating your Aunt Mary why you are crowdfunding your book and why it’s important that she shares your campaign link. Without a doubt, she will brush you off thinking that you are begging for money, and you’ll be left feeling frustrated with the entire thing. So, given that, does the platform you choose matter? Crowdfunding companies like Kickstarter and IndieGoGo are homes to crowdfunding campaigns that have gone viral—gadgets, gizmos, and a never-ending supply of travel neck pillows. However, creative projects like performing arts and books have struggled to find the same success as the games and apps have on these platforms. The average book on Kickstarter and IndieGoGo receives $5k in funding. However, there have been notable exceptions, and I’ve seen books reach over $100k. Science Wide Open put out a series of science books for girls and leveraged their established audience from their online games to find success on Kickstarter. Their campaign ended with $136,520 (2275%). It doesn’t mean it can’t happen, but it’s rare. Those with wild success have already built their audiences before they launch. Publishizer was invented in 2016 with books in mind and I really really wanted them to be the answer and provide an amazing platform for books. It might because they are still growing as a company, but in browsing their current and past book proposals, I simply cannot recommend them to any of my crowdfunding clients. Publishizer is kind of like a literary agent who takes 30% after you’ve used their platform to drum up 1,000 pre-orders of your book. The thing is, if you can successfully garner 1,000 pre-orders for your book, you don’t need the Publishizer platform, and you certainly don’t need to give them 30% of your funds raised. Because if you are popular on Kickstarter or IndieGoGo, you can use that social proof to get the attention of a traditional publisher. I know because it has happened to one of my clients on IndieGoGo, but they never paid someone 30% for that visibility—only the 8% in IndieGoGo and payment processing fees. So, why automatically give a platform money for what you can do yourself? Kickstarter has some benefits—there is a vast Kickstarter community of super backers who browse the platform and offer up their support to random projects. 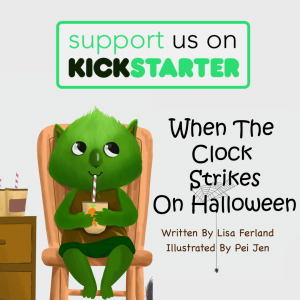 Since Kickstarter backers aren’t charged until the project is successful, many backers will support a project in the early stages when things are relatively low-risk for them. It’s been known to happen. 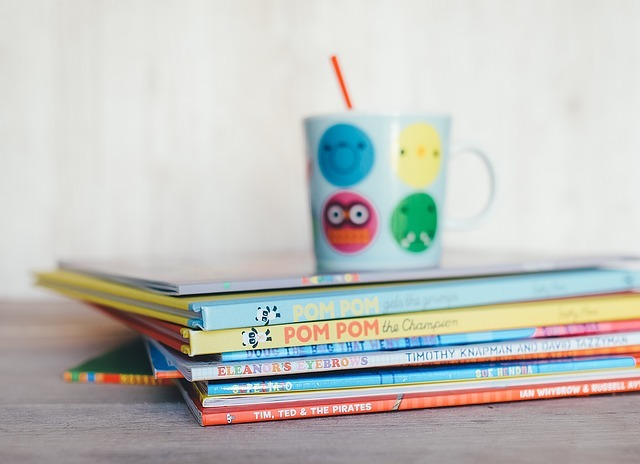 The publishing projects on IndieGoGo tends to be fertile ground for books, and they will often share popular campaigns on their Facebook and Twitter social media accounts resulting in a huge boost in your visibility to new readers. The main problem I have with Publishizer, and I have a few, is that they will put you in front of the Big 5 publishers if you have 1,000 pre-orders, but their most successful books usually only raise $1,000-$5,000 in funds—the same average as Kickstarter and IndieGoGo. Publishizer basically equals higher fees and lower success rates than Kickstarter and IndieGoGo. So, in short, their fees are higher, the projects on the platform tend not to compete as well as those on Kickstarter and IndieGoGo, and the community is smaller than the other crowdfunding platforms. My personal opinion is that the Publishizer website isn’t as visually appealing as Kickstarter or IndieGoGo. Publishizer also has a bit of a “Chicken or the egg?” dilemma. Meaning that the authors who are posting on the platform are seeking funding because they don’t have an audience but you can’t successfully crowdfund ANY book without an audience. 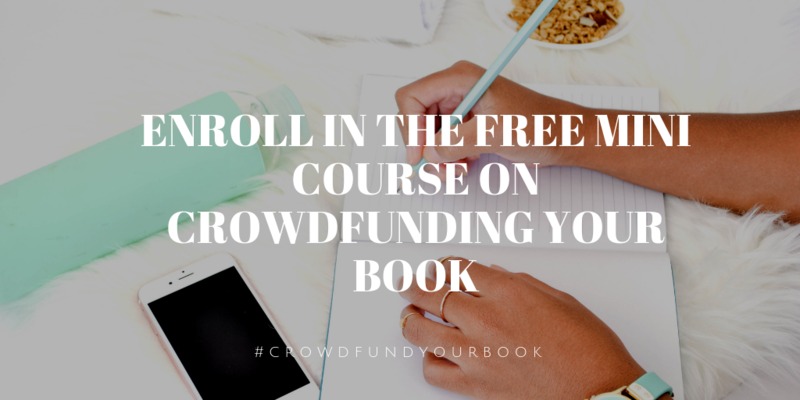 While I absolutely love the concept of Publishizer because they are focused on books, they missed a huge part of the equation essential to all crowdfunding campaigns and book campaigns are no different than neck pillows. You need to offer something someone wants. Often, the authors on Publishizer aren’t offering books anyone wants and therefore, their campaigns flop. Without a funding do-or-die strategy like Kickstarter and IndieGoGo, authors aren’t motivated to push their campaigns to success. Authors use Publishizer because they want to get the attention of a publisher—indie, hybrid, or traditional. That means that they aren’t really committed to putting out the book on their own and readers don’t want to back a book that’s unlikely to happen. Holy horrible cycle of destruction, Batman! Let’s look at it from the reader’s perspective. Am I more likely to pre-order a book from an author who is waiting for a publisher over one who is committed to self-publishing and delivering the book to me according to a specific timeline? 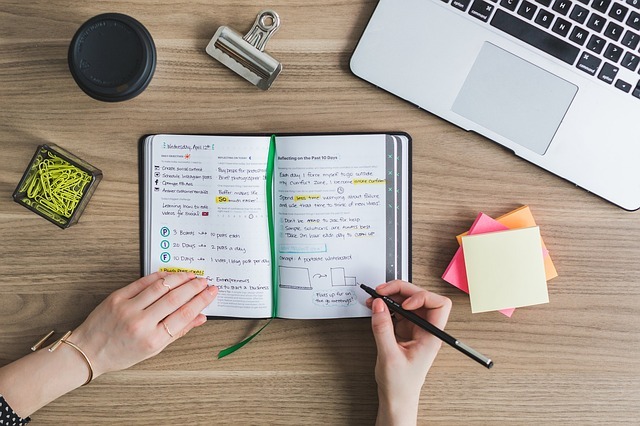 I can tell you right now, readers who are truly interested in the book and want you to be a success are going to want reassurances that you’re going to deliver the book. The uncertainty factor that is inherent in Publishizer’s approach doesn’t send waves of confidence to the author or the reader. It’s a big shoulder shrug as to the outcome of the campaign. Homework: After you’re done with this article, head over to all of the platforms and comb through their current book projects, and you tell me which is your favorite. If you have one (only 1) pre-order on Publishizer, you’ll be put on the list of service publishers—the folks who will gladly take your money to help you “self-publish” without any quality control or guidance. No, thanks, Publishizer. I don’t want Xlibris to have my email whatsoever as they are notorious for horrible service and hundreds of writers have written reviews warning others about their “services”. The fact that Xlibris is even included on Publishizer’s website indicates that they have not done quality control for their authors. Uh…if you’re not familiar with Xlibris or Authorhouse, proceed cautiously and read this article. With Publishizer, your book won’t be seen by traditional publishers (the big guns we all hope for) if you don’t have 500+ pre-orders. For Knocked Up Abroad Again, me and my contributors worked around the clock for 30 days to generate the equivalent of 302 pre-orders from 277 backers and $10K on Kickstarter. Had I launched my project on Publishizer instead, I would’ve gotten the attention of 10-15 independent and service publishers (no big guns, sadly), but I would’ve had to fork over the 30% fee to Publishizer which would leave me with less money to self-publish the work myself if a publishing contract fell through. If I were in your shoes, I’d take my chances and save 22% of my fees by crowdfunding on Kickstarter and IndieGoGo. 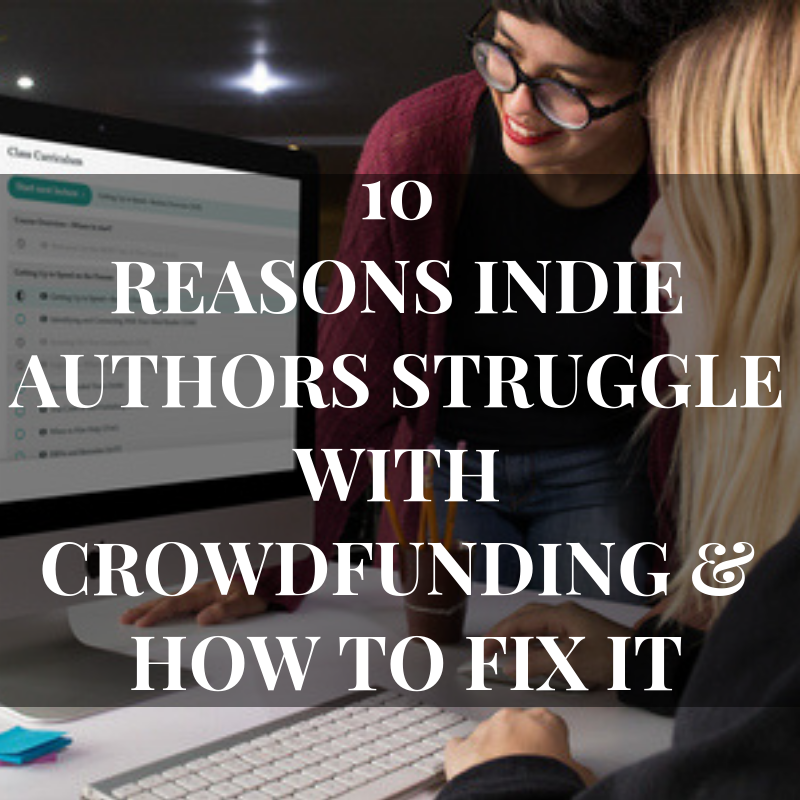 Remember, authors have to bring their readers to the crowdfunding platform, so it really doesn’t matter which platform you direct them to as long as it contains enticing information, is visually appealing, and will get done what you want to accomplish. In my opinion, Kickstarter and IndieGoGo will give you a better chance at success over Publishizer. Now, should you choose Kickstarter or IndieGoGo? That’s another question for another day. If you’ve created or backed a project on Publishizer and have a different experience, please let me know. I’m open and receptive to other people’s opinions. Doers are people who get things done. We all know who they are. They are the person who is always busy launching their next project, speaking at conferences, and is rarely sitting still…ever. They are agents of action. As a writer, there is a natural tendency to shy away from sharing our ideas with these productive, efficient people with the fear that they will steal and act on our novel ideas. However, in doing so, you are cutting yourself off from their valuable resources, networks, and the potential for a positive collaboration with someone who can help you take your idea to the next level. The truth is, other entrepreneurs aren’t looking to steal business ideas from their friends. Has it happened? Sure, but in most cases, the value of someone’s business reputation is worth more than taking a blog idea for a few clicks or a new product venture from a friend. C) they don’t have the amount of passion that you do for your idea to bring it to fruition. Let’s be real: no amount of clicks or shares on a plagiarized article is enough to justify ruining my ethical and moral code—resulting in a blackballing from the writing community and damaging my reputation. When I conducted outreach to fellow writers and described my idea for an anthology, I was initially cautious about someone stealing the idea for themselves. After going through the self-publication process myself and I experienced the exhausting grunt work firsthand, I finally appreciated the monumental amount of effort required to transform an idea in my head into a physical book on a shelf. Nobody was going to steal that idea and beat me to market. It is way too much work. A positive result from both of my anthology projects with other writers was that I developed an extensive network of people with whom I share my ideas for articles. We serve as sounding boards for one another and help problem solve, critique, and provide helpful ideas when someone hits a stumbling block. Here are five benefits you’ll receive when you share your big ideas with people who get things done. Surround yourself with doers, build trust and rapport, and you’ll see the advantages of sharing your big ideas with a supportive network. You’ll gain confidence and accountability. It is easy to hold onto an idea and not take the necessary next steps to bring your concept to completion. Those next steps are hard, but when you confide your big idea with a doer, they will give you the feedback necessary and resulting confidence to either change course or move forward. They can help you troubleshoot obstacles—both known and unknown. 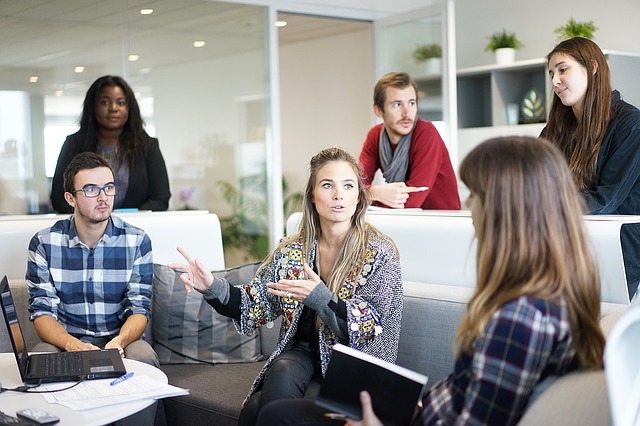 There is a steep learning curve when you enter any field, and brainstorming with someone experienced in that field can help identify challenges that you may not know existed. They can also help you avoid common pitfalls. They may know of other resources that can help you get to the finish line. Doers know other doers and tapping into their vast experience can help put you in contact with the right people to transform your project from “just a good idea” into a complete product. An insider’s perspective is priceless. Some days you need a safe space to vent, and no person better understands what you are experiencing than someone who has walked the path before. By having a sounding board, you can get experienced advice to see if your idea is possible before investing valuable resources. The expert opinion of someone who has been there and done that can help advise you on whether you can proceed with a green light or if you should pump the brakes. In summary, sharing your big ideas with people who get things done will benefit you tenfold. Don’t be afraid to give voice to your dreams and commit to taking them to the next level. Share your ideas with a few friends, be prepared for honesty and hard work, and watch your dreams come to life.